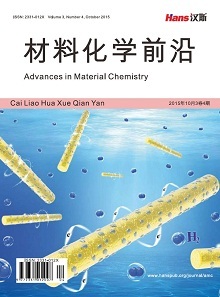 A copper modified carbon paste electrode was prepared by electrodeposition and the electro-chemical behavior of glucose at the modified electrode was investigated. The determination of glu-cose was achieved by chronoamperometry, revealing that the concentration of glucose changed linearly with the current when the concentration ranged from 1.01 × 10−7 to 1.20 × 10−5 mol/L, and the detection limit was 5.0 × 10−8 mol/L. 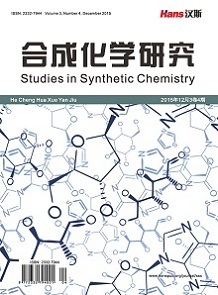 The methodology was applied in detection of actual sam-ples, manifesting several features including high selectivity, quick analysis and easy operation. 李彤, 姚子华, 丁良. 基于普鲁士蓝的葡萄糖氧化酶电极用于果汁饮料中葡萄糖测定[J]. 食品科学, 2005, 26(10): 187-190. 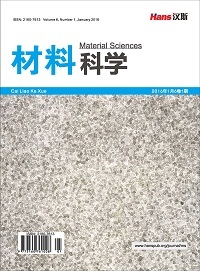 Yang, J., Jiang, L.C., Zhang, W.D. and Gunasekaran, S. (2010) A Highly Sensitive Non-Enzymatic Glucose Sensor Based on a Simple Two-Step Electrodeposition of Cupric Oxide (CuO) Nanoparticles onto Multi-Walled Carbon Nanotube Arrays. Talanta, 82, 25-33. Xia, Y., Huang, W., Zheng, J.F., Niu, Z.J. and Li, Z.L. (2011) Nonenzymatic Amperometric Response of Glucose on a Nanoporous Gold Film Electrode Fabricated by a Rapid and Simple Electrochemical Method. Biosensors and Bioelectronics, 26, 3555-3561. Ahmad, M., Sun, H.Y., Hussain, M., Karim, S., Nisar, A. and Khan, M. (2015) Development of Silver Nanowires Based Highly Sensitive Amperometric Glucose Biosensor. Electroanalysis, 27, 1498-1506. 罗明荣, 王良良, 张亚静, 等. 基于聚多巴胺/铜微粒自组装多层膜的无酶葡萄糖传感器[J]. 分析化学研究报告, 2016, 44(6): 882-887. Niu, X.H., Lan, M.B., Zhao, H.L. and Chen, C. (2013) Highly Sensitive and Selective Nonenzymatic Detection of Glucose Using Three-Dimensional Porous Nickel Nanostructures. Analytical Chemistry, 85, 3561-3569. Sun, Y.L., Yang, H.Y., Yu, X.H., Sun, Z.H., Meng, H.W. and Xu, X.H. (2015) A Novel Non-Enzymatic Amperometric Glucose Sensor Based on a Hollow Pt-Ni Alloy Nanotube Array Electrode with Enhanced Sensitivity. RSC Advances, 5, 70387-70397. 王艺兰, 包晓玉, 杨妍, 等. 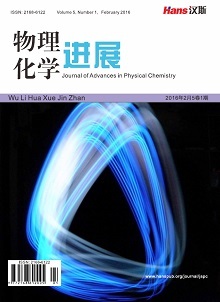 电沉积Cu2O在无酶葡萄糖传感器中的应用[J]. 分析科学学报, 2016, 32(1): 71-74. 俞建国, 李建平. 高选择性的镍基无酶葡萄糖微传感器的研制及应用[J]. 分析化学研究报告, 2008, 36(9): 1201-1206. Jin, J.J., Zheng, G.Y., Ge, Y.Y., Deng, S.G., Liu, W. and Hui, G.H. 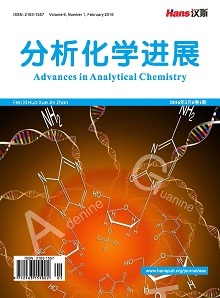 (2015) A Non-Enzyme Electrochemical Qualitative and Quantitative Analyzing Method for Glucose, D-Fructose, and Sucrose Utilizing Cu Foam Material. Electrochimica Acta, 153, 594-601. 王永华, 戚穗坚. 食品分析[M]. 北京: 中国轻工业出版社, 2017: 116-117.